Echinacea has been one of the most popular choices for herbal immune system support for thousands of years. Goldenseal is another popular herb that has been thought to support and maintain mucus membrane health. 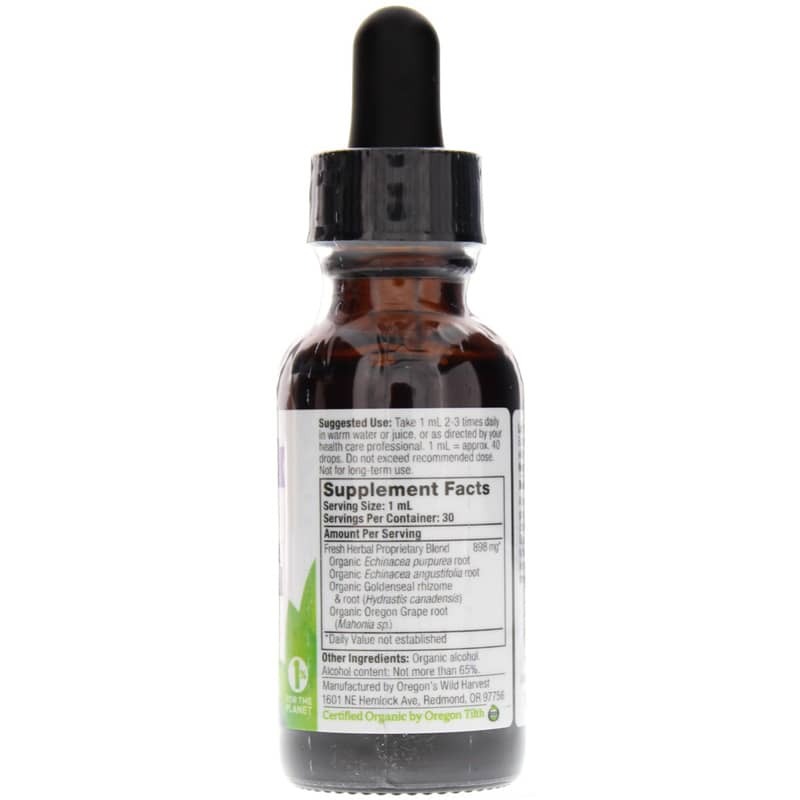 Echinacea Goldenseal Plus from Oregon's Wild Harvest combines both of these herbal superstars into one convenient liquid supplement that can be used multiple times every day to helps support and maintain optimal overall immune health and wellness. This product is always made without the use of dairy, wheat, gluten, peanuts, soy, and corn, and never contains any excipients or stearates. It is a full-spectrum extract and is also 100% vegetarian-friendly. 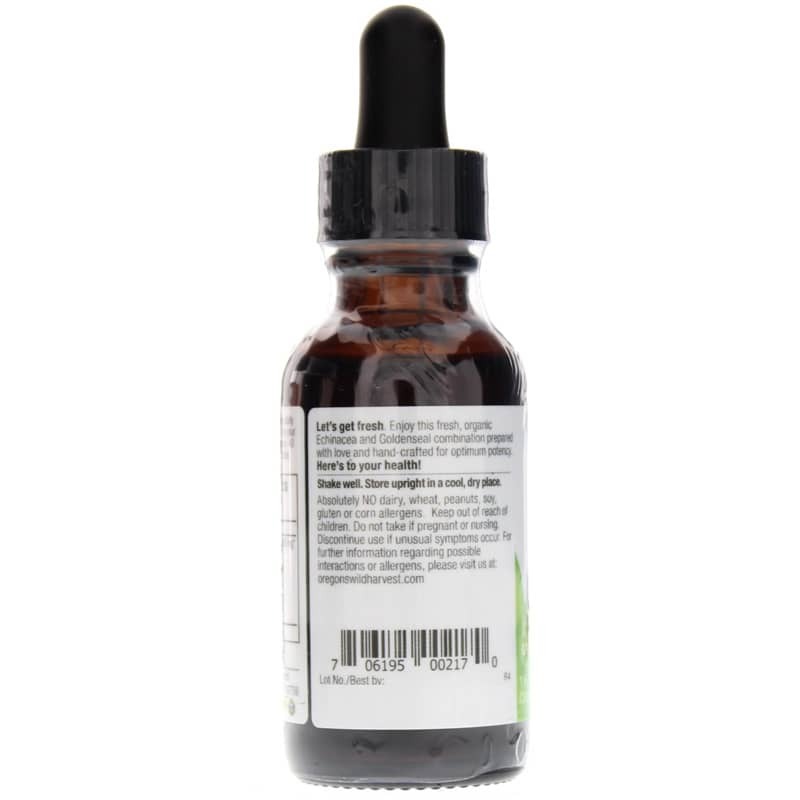 Just one milliliter mixed with warm water or juice two to three times every day may help keep you on the all-natural pathway toward optimal overall health and an increased sense of wellness. 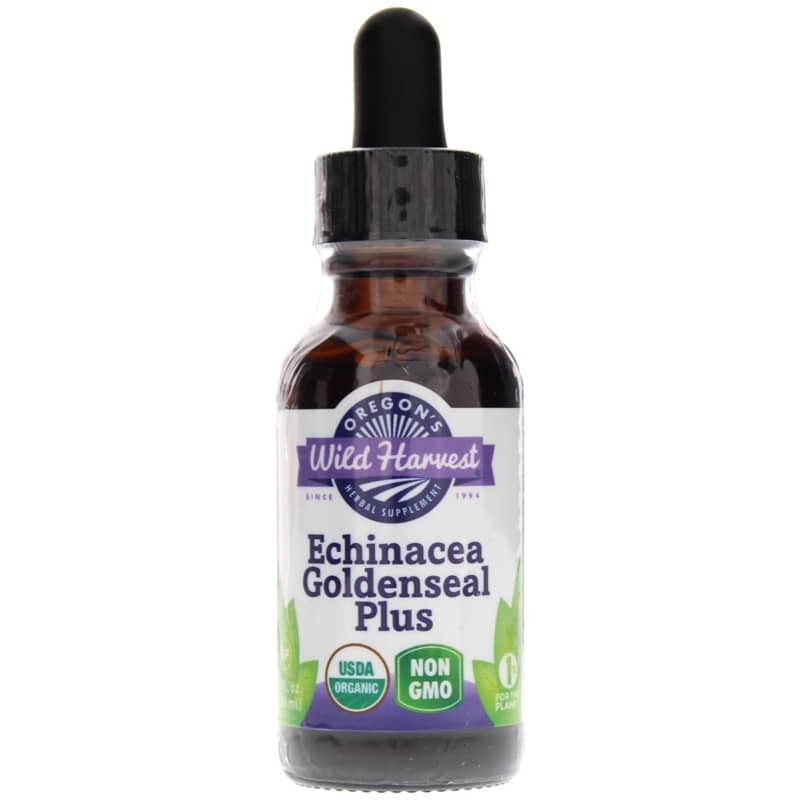 Order your bottle of Echinacea Goldenseal Plus now! Adults: Take 1 mL two to three times daily in warm water or juice. 1 mL equals approximately 40 drops. SHAKE WELL. Store upright in a cool, dry place.